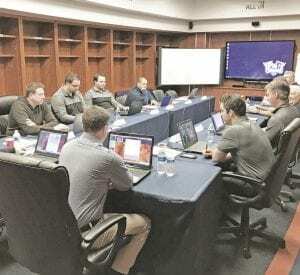 FLINT – The Flint Firebirds will enter Saturday’s Ontario Hockey League Draft with the No. 2 overall pick. The past 14 years have seen the No. 2 overall pick in the OHL Draft eventually go on to have a career in the National Hockey League. You can follow live selections at ontariohockeyleague.com to make it convenient for teams, fans and potential draft picks and their families. The draft consists of 15 rounds, which produces over 300 selections. The first three rounds are also available to watch online. Players born in 2000-2003 that either live in Ontario, Michigan, Pennsylvania, New York and other designated states are eligible for the draft. The order selection is inverse of the final standings during the regular season. Fans can join in on the social media conversation with the hashtag #OHLDraft. – B.P.